Find an author who speaks to you. Hooked. In my case, I found Malcolm Gladwell. He was not the first author I loved to read, but he is the one who resonates with me now. I can see my wife, my students, and my friends rolling their eyes as they read this and I can hear them muttering as well. “Gladwell again?” I talk about him often, because I just love his unique perspective. I have read all of his books, and I rarely get through an educational conversation without referencing one of his ideas. Gladwell has analyzed many human behaviors and decisions, rationalizing them in incredibly perceptive ways. What also compels me is his use of stories; it’s his distinctive way of explaining his ideas. Gladwell’s writing speaks to me and helps me understand myself and the world around me. HOOKED! The opening chapter of Gladwell’s David and Goliath is the most engaging that I have ever read. 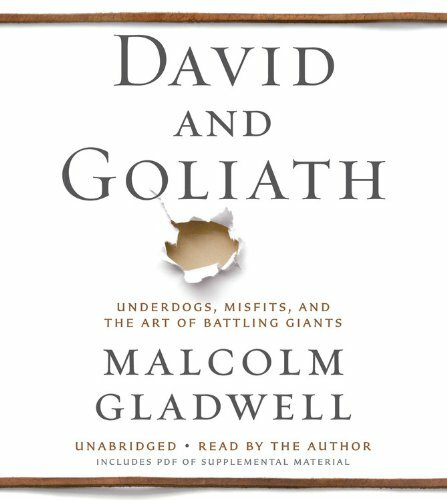 He turns the most well-known underdog story on its head by evaluating David’s ability to “leverage the unconventional.” Gladwell tells us the unheard story of David and Goliath. David was NOT an underdog. Hooked? This book has changed the way I see hardships in life; therefore, it has changed the way I communicate with students. Each day, students walk into my office to discuss challenges they are facing. 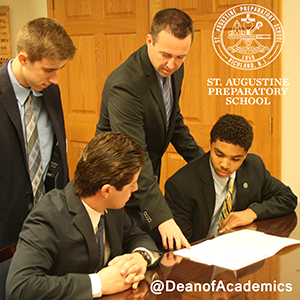 They wrestle with academic struggles. “Mr. Burke, I shouldn’t have taken this course, and now I’m failing.” “Mr. Burke, my teacher hates me.” “Mr. Burke, my doctor diagnosed me with a learning disability.” They wrestle with familial struggles like death or divorce, and they wrestle personal struggles such as sexual identity and facing an uncertain future. While no one wishes for episodes like these, they are unavoidable, and Gladwell has shown me that disadvantages now lead us to strength and success later. Sometimes we need to experience adversity, and in turn, know it is an opportunity to see the world differently. Then, like David, we can “leverage the unconventional.” Reading David and Goliath, opened my eyes to this life-changing perspective. Teachers must allow students to have choices when reading for a course. Our students must read different subjects, genres, and authors. I suggest trying a Gladwell book. He inspires me. He challenges me. He pushes me to look at the world differently. His books work for me. They may not work for you, but just keep exploring. There is a big world out there, and books allow us to better understand it.